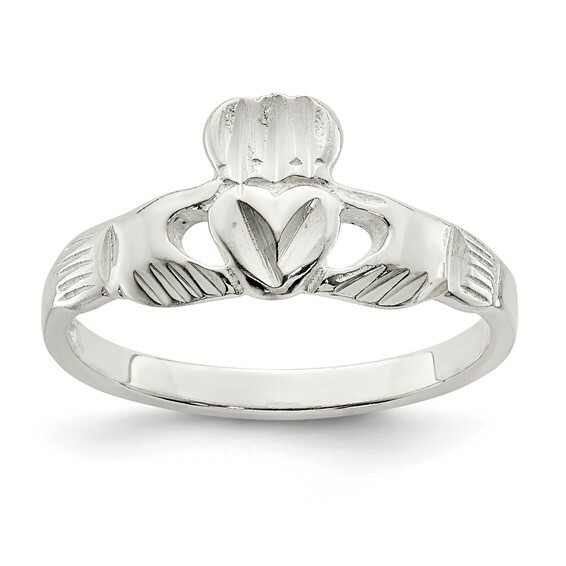 Sterling silver claddagh ring is very slender. Available in sizes 6, 7 and 8 only. Ring width: 2mm. Weight: 1.75 grams. Import.